The Airspec goggle is great, but now Fox has reworked it in a big way to create the Air Defence Goggle, a premium offering at the top of the Fox Racing goggle lineup. The first big change is a new lens that’s injected molded in a pre-curved shape from super tough polycarbonate. With a pre-curved Fox has made the lens entirely optically correct, meaning your vision won’t distort or bend regardless of your viewing angle. The other big feature is the Smart venting worked into the frame of the goggle. These vents flow air in through the front of the goggle, past the wide interior of the lens, and out through the 17 millimeters of comfort foam, carrying out all the hot and moist air. Put everything together and the Air Defence turns into a great goggle, ideal for every level of rider looking for premium quality and performance. Goggles are great but doesn’t say the Fox on the front was going to be pink. Not a huge deal but a little weird. Love them! Great fit! Love the color I got them in burnt orange. They have a good field of view and are very clear. Would Highly recommend. Great googles with excellent clarity, durability and virtually no fog issues. On my first ride it was very hot and humid and others on the ride were having problems with their googles fogging over while my air defence did not fog. Love the clarity so much easier to see the terrain. Also like that they meet the safety standard. Replaced my Oakley googles which I liked fairly well. Air defence worth the extra bucks, fit just like my old goggles. Very comfortable and a good google for the price. 30 years using Fox racing gear and these are top quality goggles! Get some tear offs also. Well made goggle,didn't fit me the greatest since I have a huge beak. A bit pricey and I hands down like Scott Tyrants way better and they are more affordable. Do you find that the "pre curved lenses" make a legitimate difference? Or is it pretty negligible compared to something like the 100% goggles with standard lenses. I wear contacts and I can tell it makes a difference. how many tear offs does it come with? It doesn't come with any. You have to buy them separate. bought from Rocky Mountain ATV, and mine came with zero. None, I believe those have to be bought separately. Tear offs need to be purchased separately. Mine did not come with any tear offs. Does anyone have a link to a dual pane lens for these? I know they claim to be fog proof, but here in the Northeast I don't trust it if not dual pane with the humidity we experience. BEST ANSWER: Hello, thank you for reaching out. 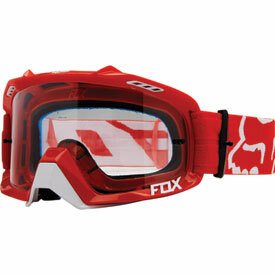 The Fox Air Defence goggle does not offer a dual pane lens. The reason for this is the lens is a polycarbonate, pre-curved lens. 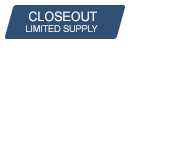 If you are looking for a dual pane lens you might want to look into the Air Space or Main goggles as they will have this option. I hope you find this information helpful, happy riding! Don't know about a dual pane lens for these. Fox should be able to answer that. I do know they work down here in NC where its very humid. Be careful cleaning the lens. I used a lens cleaner from my eye glasses I think and it stripped some of the anti fog coating. Got to get a new lens now. Didn't like the dark one anyway. Not that I have seen. 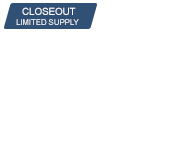 Looks like the Air Defense is getting discontinued soon I can't even find normal clear lenses for them. I’m from the North West. And we rarley get over 30% Humidity. But they do well in the rain. Are these goggles dual paned or single? BEST ANSWER: It is a single lens. The best part of the goggle for our desert riding is the excellent venting system. No fogging after a sweat is built up! Single, they are very good goggles I have never had them fog up on me. Have had mine for over a year very pleased with them!! They're a single pane lens. You might be able to get a dual pane as a replacement for winter though. Awesome goggles. Single. It's a very thick moulded lens much safer than the standard goggle lens. what tear offs fit this goggle?